Plaza Rakyat lot owners: Why is DBKL ‘no longer involved’ in 20-year stalled project? KUALA LUMPUR (September 3): Plaza Rakyat lot owners are unhappy that Kuala Lumpur City Hall (DBKL) has “washed its hands of” compensation of the stalled project. Their pro tem committee secretariat Ng Pang Wah, 69 said they were not informed that DBKL is no longer involved, according to The Malaysian Insight (TMI). “Why is DBKL claiming that they have nothing to do with us? When we bought the property, they were the landowner. DBKL has said that the new developer, as landowner, had no legal obligations towards the lot owners. Ng said they have been informed that there is a compensation clause in the sale and purchase (S&P) agreement. “All we are asking is for a fair deal. “The developer definitely bought the property at market price, but they are offering the lot owners a refund of the sum they invested 20 years ago, which is not fair. The news portal reports that the developer has been given until the end of September to settle outstanding payments to DBKL, failing which its contract will be terminated. 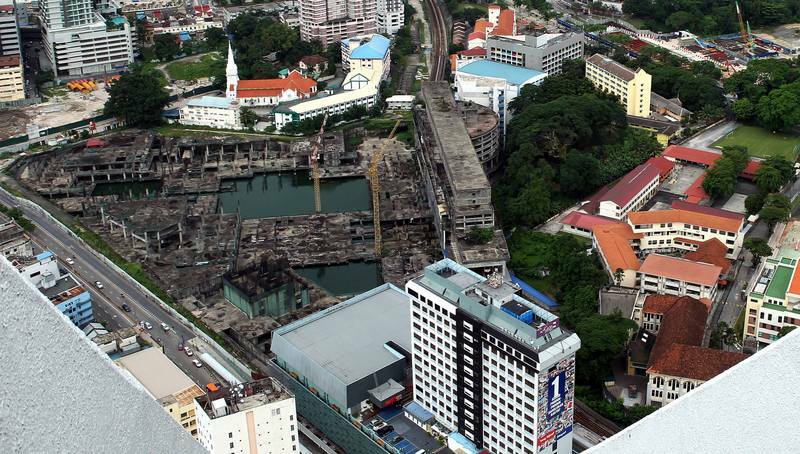 Following the 1997 Asian financial crisis, the project in Jalan Pudu was abandoned. Profit Consortium Sdn Bhd, a new developer, signed a S&P agreement with DBKL in 2015 to take over the 6.2ha site for a sum of RM740 million. Ng said efforts to contact DBKL has not yielded results, and they are now looking to the new government with renewed hope. “All we are asking is for a meeting with the developer. We are not asking for a fair compensation. We are all old and some have died. TMI reports that the lot owners have sent a letter to the Prime Minister’s Department, in hopes of meeting Federal Territories Minister Khalid Samad. Plaza Rakyat is a mixed development comprising a 79-storey office tower, a 46-storey condominium block, a 24-storey hotel, and a seven-storey shopping centre. The news portal reports that since January, 104 of the 211 original buyers have been issued offer letters by the new developer and negotiations are ongoing.